You can color the white wall into various colors by making efforts individually. But to whatever color your belt changes, its original color is white. Keep in mind that it implies the warning that you　should not forget your original intention. Oh, Karate friends of ours ! WHAT IS KARATE DO ? Karate is not for an attack.Karate Do is not a martial art whose ultimate goal is to win.Its goal is to strive to improve your character as best you can by tiding over tangible and intangible ordeals and by training as hard as possible. 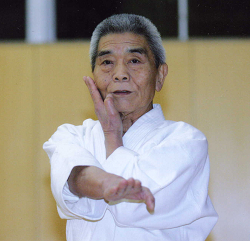 copyright©2010 Japan Karate Do Hakua-kai all rights reserved.